Clean Up Your Room (read: Dashboard)! If they haven't been posted to Steem, that is. If you've been participating with @exhaust so far -- there has probably been a time or two when a run didn't upload for you nicely, or didn't work for some reason, and you had to upload again. I know it has happened to me numerous times. 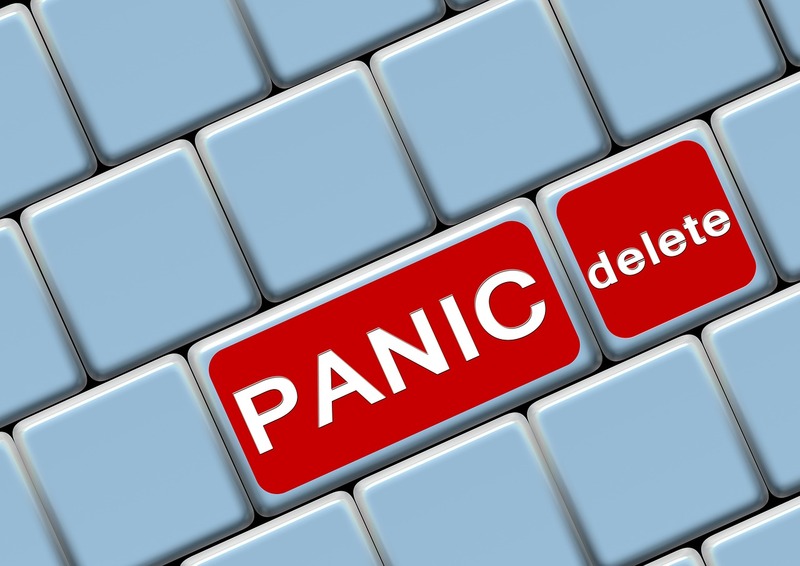 So rather than making things work appropriately, I made a delete button instead! Brilliant! Give it a little click. You'll be asked to confirm that you're not crazy before deleting. It's a modest update, but it's step #1 on the path towards adding an "edit post" button, which should be able to edit the details of a run, swap out GPS files, or update photos (which have been acting up recently). Regardless -- it's now there if you need it. Also -- I've been manually deleting doubles of runs for a while now, so it's time for you to clean up your own damn dashboards. Lets take a quick boo at our Glorious-Leader(board) to see who has been picking up all the slack that @mstafford has been letting out. That guy hasn't ran in a week or two now. 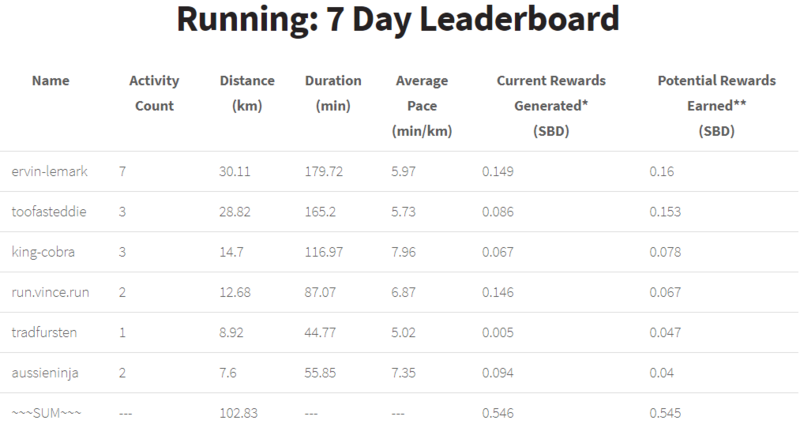 @ervin-lemark is leading the charge on the rolling 7-day running list w/ ~30km. @toofasteddie isn't far behind, though! Only a couple bike rides have been posted recently.. It's like it's winter over here or something... I guess though, with how spread out everyone is, it's bound to be winter SOMEWHERE. Good work @run.vince.run! Almost at 100km -- @mackmck just posted a big ride the other day too, and might sneak up on you if he stays consistent! Nobody seems to like hiking over the last little bit. I'll try to change that this weekend. I'm itching to get some fresh. That's enough rambling for now. There's a lot of people worrying / complaining / whining about the direction / future of Steem these last days. I'm not going to speak to any of that really, but I would suggest that we all just enjoy the ride while we can. I'm moderately confident in the future of Steem -- mostly because we're all here currently using it. At the end of the day, things are powered by people. Most of you are more excited about running and exercising than earning rewards -- this is just a bit of icing on the cake of life. At the end of the day, if Steem keeps chuggin' along in a sustainable way -- so will @exhaust. If the post from @ned yesterday about the upgrades to RocksDB and numerous other things I don't fully understand is accurate, then we can expect to have an full @exhaust node, and potentially a witness running some time in the early new year after the updates. Keep Moving, People. Nothing to See Here! Why you gotta call a brother out like that? That cuts deep. Hahahaha, in my defense... things were getting mightily heated in that thread... but no one was talkin' bout the important stuff. The stuff we NEED to know. In regards to the dashboard... man... it's not fair, we have to do EVERYTHING on this platform.. can't we get our mums to delete those duplicates? Ugghhhhhh, I hate this! We were thinking of hiking up a storm this weekend too... but now I've got a mystery experimental type physio thing right smack bang in the middle on Sunday, dagnammit. We'll see if we can work around it. Hey, there is hope. There always is hope! Congrats to everybody mentioned. Keep on pushing, friends. Yes, edit button would be nice indeed. I keep forgetting to put in links to Strava. Thanks for everything that you do, @mstafford! Delete button should only show up if the Run hasn't been posted to steem. Otherwise it should (soon) show up as "Edit? ", allowing you to modify some details of the activity.